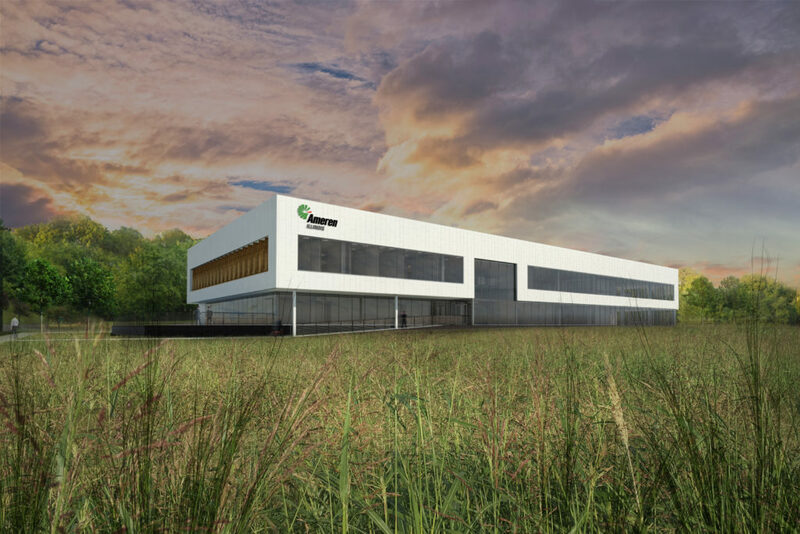 The Ameren office building in Eastport Plaza in Collinsville, Illinois is the future home to over 200 employees. Oates Associates provided conceptual and final design for the two-story, 46,000 square foot facility that includes open workspaces, private offices, conference rooms, collaboration spaces and a multi-functional auditorium that reconfigures into three separate spaces. The site includes an entrance road and sidewalks; patio; and over 250 parking spaces that encompass a surface lot, ADA spaces, covered parking spaces and covered charging spaces.